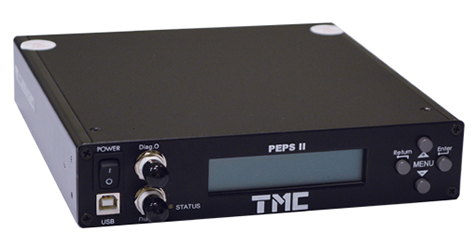 PEPS® II-VX is a digital non-contacting, height control and active vibration cancellation system. A version ideally suited for ultra precision machining, was jointly developed by Precitech and the vibration experts at TMC. It is exclusively available as a retrofit on Precitech machines in the field and as an option on all new machines. PEPS® II-VX works with the existing pneumatic vibration isolation system eliminating the mechanical height control valve and height sensing linkage. The result is a first-of-its-kind active on-machine vibration isolation and precision leveling system.